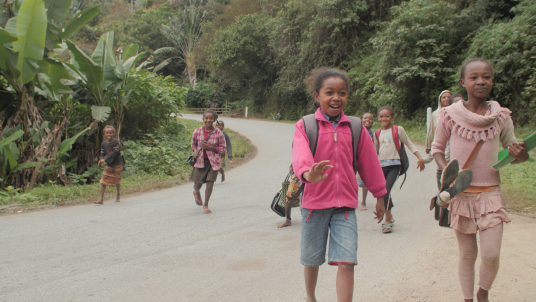 " My first impression of Dana, the founder of Ny’Ala, came as we were driving in a caravan through small colorful towns across the impossibly beautiful landscape of Madagascar. More beautiful than most of what I’ve seen in my 24 years, despite having lost 90% of its original forest cover to the timber industry, agriculture, and other destructive uses. This drive to Ranomafana took 10+ hours on dangerously windy and broken roads. We made a few stops on our way, and at each one, there were always 5-10 people waiting to sell their goods to us. It’s a very emotionally complex moment-when you’re staring straight in the face of stark distinction between worlds-and you feel that you can’t really do anything truly meaningful to strike a balance except for buying a few trinkets. I was visibly shaken at one of these pit-stops, squished between some intensely convincing salesmen and a car full of empathetic travelers who had been in Madagascar long enough to know how to avoid losing their heads in these emotional cultural exchanges. This was when Dana came in for the first time with her voice of reason as she stated that there are, in fact, genuine ways to make changes in the lives of the Malagasy people. The answer is in community development, she told me. I was moved as she explained that the real way to help the people of Madagascar is to aid in long-term projects with concrete objectives that help communities grow organically, sustainably, and on their own feet. I learned quickly that this girl was walking the walk! 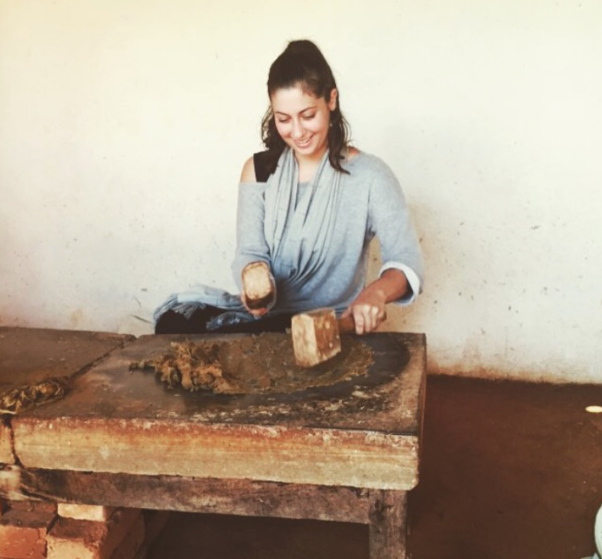 She was in Madagascar to continue in the development of her business, Ny’Ala Skincare. Ny’Ala, meaning ‘of the forest’ in Malagasy, (the language of Madagascar) is an all-natural botanical skincare brand that uses fine oils and other products that have been sustainably harvested from plants in Madagascar, by the people of Madagascar. Her brand is inspired by the traditional healers of the island, by a deep affection for nature and the healing power of botanicals, and by a love for the Malagasy people. Needless to say, I was a fan of this sustainable, all-natural, non-toxic, plant-based, high-quality, fair-trade, and community development driven company from the moment I set ears on it (try saying all that good stuff in one breath). Oh, don’t let me forget that 10% of its proceeds go to reforestation projects in Ranomafana. And why Madagascar, you might ask. Well, Madagascar is one of the most biodiverse places in the world. It has more unique plant and animal life than almost anywhere on the planet, and is cherished by many people who recognize the true and intrinsic value of such a place. In layman’s terms; it’s too beautiful for words. 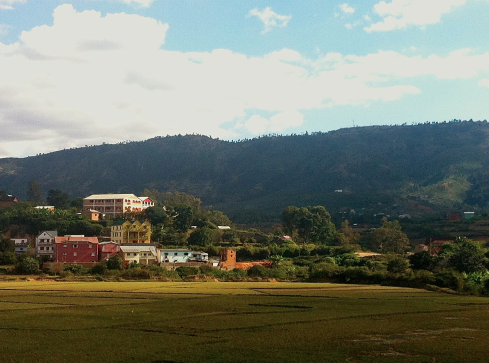 But despite its biodiversity and unique cultural identity, Madagascar needs help. All of the biodiversity of Madagascar, including the people, faces an enormous threat to its survival every day. There’s a laundry list of reasons why the island has been deforested so intensely, but many of them have to do with the lack of job availability for people who live outside major cities-which is 70% of the population. With so few job opportunities, people turn to the only capital they can reach, which is often the land-the forest and the species or minerals within it. When something is harvested or mined in Madagascar, it often not done sustainably, it is likely done in earnest because people need to feed their families. This is part of the reason why the forest is almost gone, because the people of Madagascar are left without other options. This is also why community development is so important; the people need income, and the forests need protection. Ny’Ala provides a beautiful opportunity to meet both needs. Aside from the brilliant philosophy behind this product line, the product itself is ridiculously high quality. Over the last two weeks I’ve been fortunate enough to sample the “Magic Everything Oil,” and the “Magic Body Exfoliant.” Both of which are made with geranium and calendula sourced from Madagascar (among a small handful of other redeeming ingredients). My experience has been amazing and I would give both products I tried a 10/10. 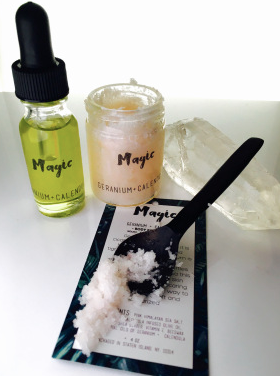 An icy winter in DC has left my skin needing some TLC, and “Magic” came right when I needed it most! I’ve been using the oil on my dry hands and body, as well as my curly hair-which can always use extra moisture at any time of year. After these past two weeks my hands have never felt so smooth. And because of the aromatherapeutic qualities of the geranium (which contains balancing properties) and the calendula (which is a known healing oil with endless applications for skin conditions), using the oil is often a meditative moment in my day. I also used the oil in my hair, which is always flying away from me. Running my fingers through it with some “Everything Oil” keeps it shiny and moisturized but not too oily, plus it smells amazing! I’m a proponent of coconut oil, but it always seems to weight my hair down too much. The “Everything Oil” is more of an infusion and less of a dousing! The body exfoliant has also been good too! I savor the experience by using it only a couple times a week, but when I do, my skin comes out feeling like silk. These products are made with high-quality ingredients, a lot of love, and they benefit so many amazing causes that using them is the most purely gratifying experience. If you want to treat yourself or a loved one, or if you just want to know you’re making a difference, check out Ny’Ala’s website to see all the amazing products that you can try and feel amazing about; because they are nourishing to you, and they are truly helping the people of Madagascar.